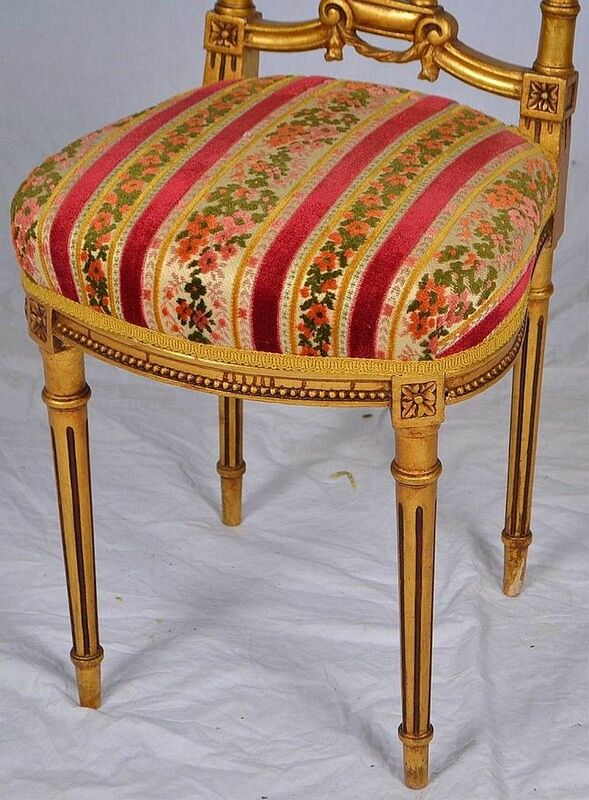 Antique French ballroom side chair. 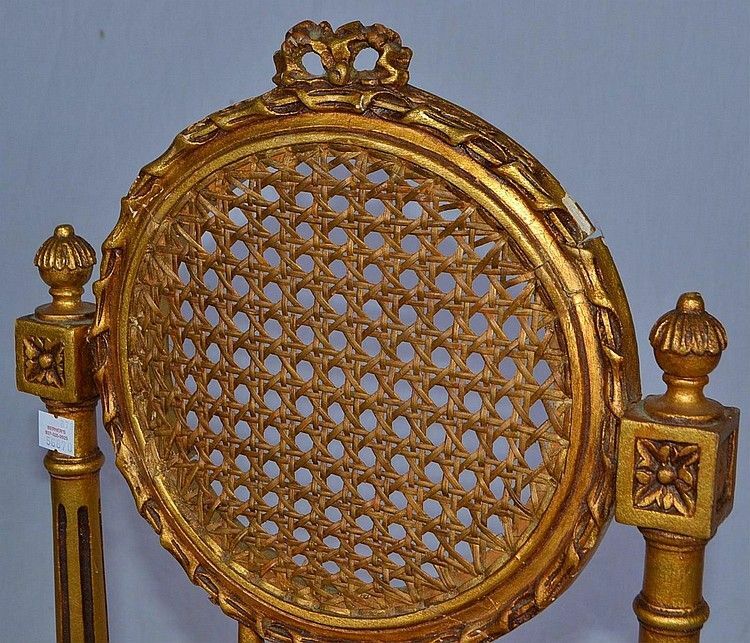 The chair is hand carved and gold gilt. 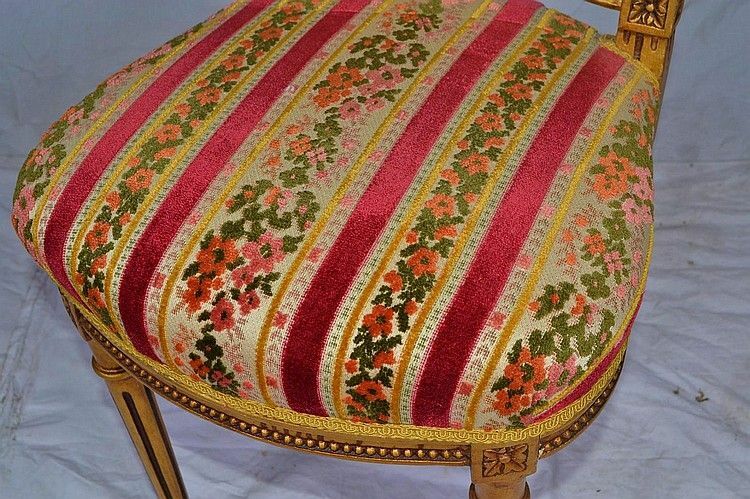 The chair measures 36" tall at the back. 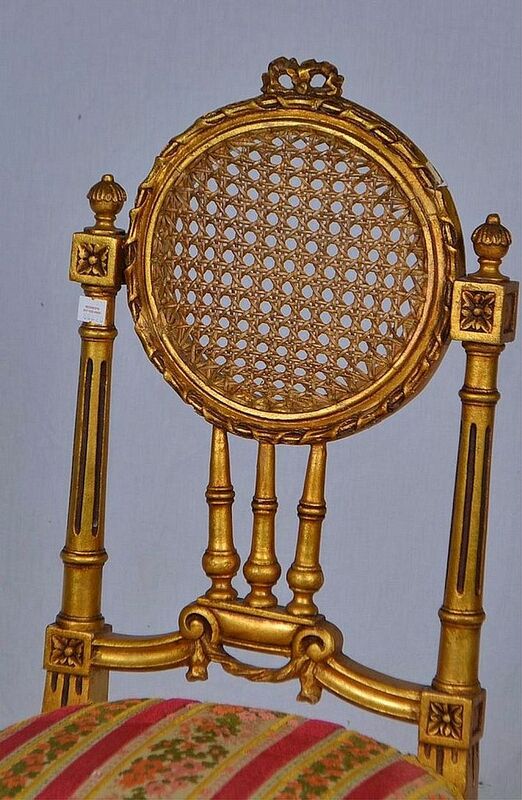 We date the chair circa 1900 legal antique.